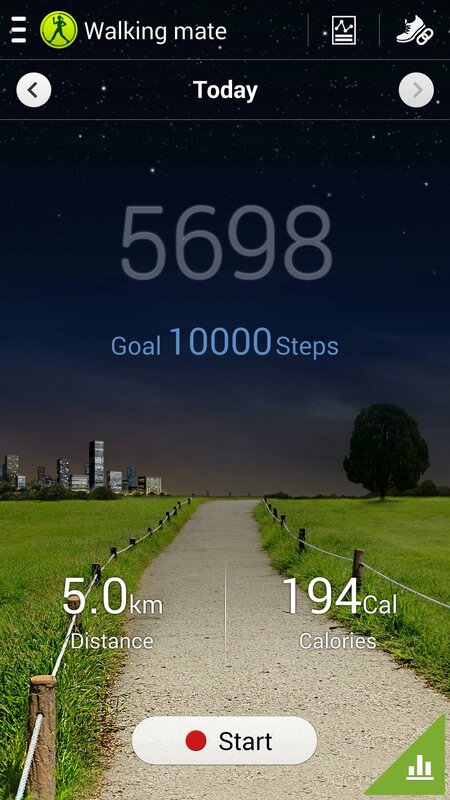 s we know, S Health is a stock app on Samsung Galaxy Note 3. Refer to the screenshot of my walking record of last night. I think the steps count, 5698, perhaps is accurate. But are the distance(5.0km) and calories(194Cal) exact, too? I think that the app maybe should use gps to get a walking track in order to make out a more exact distance data. Is it right? By the way, I wonder whether we can modify the default steps goal, 10000. I found the default goal is difficult for me. Do you think so?